Hello everyone, I'm new to the forum but I figured this was the best place to ask. I haven't seen any discussion on this so my assumption is it turned out to be nothing, but does anyone know why the UK version of the book is being listed everywhere as having 352 pages while the US one has 359? I asked someone from the UK and they told me theirs had 359 pages too so I'm thinking it's an error, but sites that have both, like Book Depository, list the smaller page count and ask less for the UK release. Welcome to the forum, Joqu. I have the UK edition in front of me - pages are numbered up to 359... but are followed by 3 further printed (but not numbered) pages. No idea for the discrepancies in listings, but I think the US & UK versions are the same. Henrys Hair wrote: Welcome to the forum, Joqu. I have the UK edition in front of me - pages are numbered up to 359... but are followed by 3 further printed (but not numbered) pages. No idea for the discrepancies in listings, but I think the US & UK versions are the same. Thanks. Heh, maybe they meant to list 362 pages? That'd actually add up! I'll just bite the bullet on one of these "352 pages" versions then. I'd be very surprised if I actually end up getting something that's missing content. Pretty much the least surprising news ever. Knowing Lynch, it is probably not surprising no. But apart from that, it is very strange. They have been working on the new Twin Peaks for many years now. On one hand I understand Lynch. I was not hyped for the book at all. I don't like the history/canon of TP being split over both books and television shows. And the approach to the book (that I haven't read by the way) didn't appeal to me either. In a way, I am glad that Lynch doesn't want the new season to be influenced by this book. But on the other hand, if you're together in a huge project like this, it is kinda strange not to invest a few hours to learn about your partners ideas. It could be interpreted as arrogance and not taking you partner very seriously. This is probably not the correct interpretation. I understood that he didn't read the book by his daughter either, and I'm sure he loves and respects her dearly. But if I were his daughter (or co-creator), I would be a little bit hurt that he didn't read my book. It would have been arrogant if he had a problem with Frost writing the book in the first place. Lynch didn't object to Frost writing it, but his version of the history of Twin Peaks is probably far more shrouded in mystery. He just prefers not to have Frost's vision change that, which is what he more or less stated at the TCA event. In my mind, as somebody who isn't a fan of the concept of this book in the first place, I find it perfectly understandable. 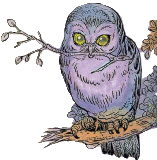 I found the first 57 pages dull and hard going, but got interested once Owl Cave was mentioned. From that point on, the book became more and more fascinating for me. It was different to what I was expecting, but still an enjoyable read. Sure, I was slightly irritated by what seemed to be factual inaccuracies, but as people have suggested on the Reddit thread, these "errors" may be intentional and the book might actually be a puzzle to be solved. It could all start to fit together once S3 airs. One thing's for sure, the background stories in this book will definitely add more depth when I come to re-watch S1 & S2. Has anyone heard any noise regarding the postponed uk book tour? Dalai Cooper wrote: Has anyone heard any noise regarding the postponed uk book tour? I think someone asked mark a while ago on twitter and he responded with "April". Really hopeful he'll put a few more cities on the list in addition to the ones already postponed. Ah thanks - I can hang on till then! I was skeptical about the book but now have it and started reading it. Wow, it immediately grabbed me and put me back to the Twin Peaks I love. There's a certain feeling I get with the series and this book gives me that same feeling. I'm happy and look forward to Frost's writing. I'm more of a Frost man than a Lynch man as the years go by. 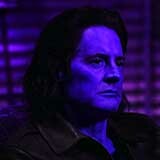 Leo K wrote: I'm more of a Frost man than a Lynch man as the years go by. Hope he has a speedy recovery - and considering some of the more, um, intense members of the tp fan community and their response to the book, Annie Wilkes might not be far off! Leo K wrote: I was skeptical about the book but now have it and started reading it. Wow, it immediately grabbed me and put me back to the Twin Peaks I love. There's a certain feeling I get with the series and this book gives me that same feeling. I'm happy and look forward to Frost's writing. I'm more of a Frost man than a Lynch man as the years go by. Absoloutely, I was kind of put off the book from the lukewarm reaction it seems to have gotten, but having almost finished it I think it's brilliant. Whilst not the ''big reveal'' everyone was kind of expecting I think it's great. But what if that goes beyond just a visual link. Catherine used the two green ledgers to deceive others around her to cook the mills books. What if the dossier we are reading isn't the only one. 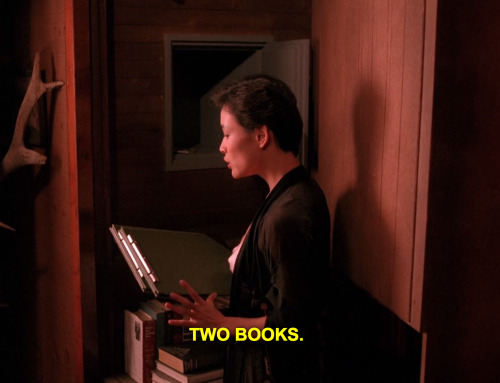 Much like Catherine used the 2 ledgers to change facts and figures, I believe the ''Secret History'' we are reading is possibly an edition of 2, the other being the ''Real'' history of Twin Peaks. This would account for all the (intentional) inconsistencies and forged documentation within. It still doesn't solve who is trying to deceive whom though.